A beautiful smile projects an image of success and fulfilment and affects the way that you are perceived in all areas of life, and a smile that you are unhappy with can have a negative impact on your life. We want you to experience the confidence of knowing that your mouth is healthy and that you look your best. Modern advances in dental technology enable us at Meon Dental to dramatically improve your smile. 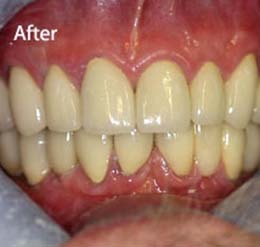 Using the latest techniques we can whiten teeth, straighten and reshape teeth using crowns and porcelain veneers, and permanently replace missing teeth using dental implants. 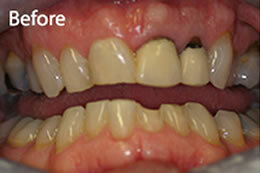 We can also stabilise loose dentures by providing implant-retained cosmetic dentures. Our aim is to create beautiful and natural looking teeth that are uniquely designed for individuals with the utmost care, skill and attention to detail so you’ll look like you, only better! 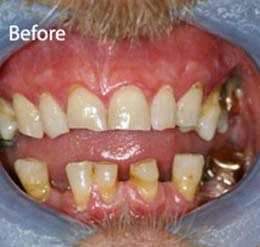 Unsightly silver fillings can cause people to feel self conscious when the smile, talk or eat. Silver (amalgam) fillings can be easily replaced at the practice with the latest generation of tooth coloured composite fillings which are virtually impossible to detect. Porcelain veneers are thin pieces of ceramic porcelain which are made to fit over the front teeth, enabling us to straighten, reshape and lengthen the teeth, as well as covering imperfections and discolouration, to deliver a 'perfect smile'. These are the key to many of the incredible transformations we have achieved. 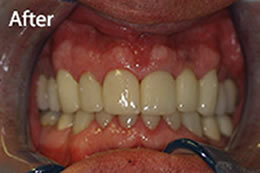 If you are suffering with a chipped or discoloured front tooth, veneers could be the treatment for you. A crown is an artificial cover used to replace missing portions of teeth. The crown 'caps' a tooth in order to restore or improve the shape, size and appearance of the tooth. Crowns are increasingly used in cosmetic dentistry where there may be used to cover badly shaped or discoloured teeth.